Tucked away behind Marylebone High Street in London, is this gem of a mews house. From the outside it has all the charm of a Victorian mews house. 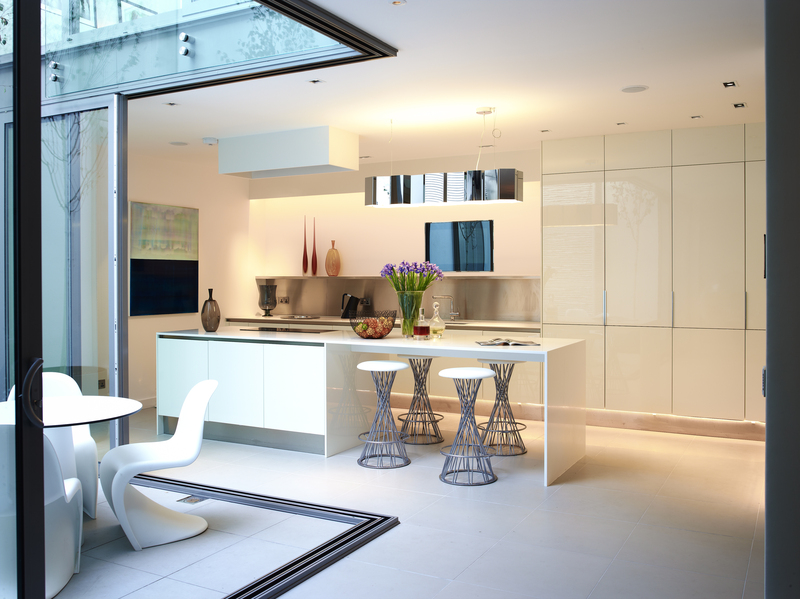 But open the front door and you find bright open interior spaces that feel more like Miami than Marylebone. Set over three floors and encompassing a central courtyard – this house just exudes personality, fun and cheekiness. 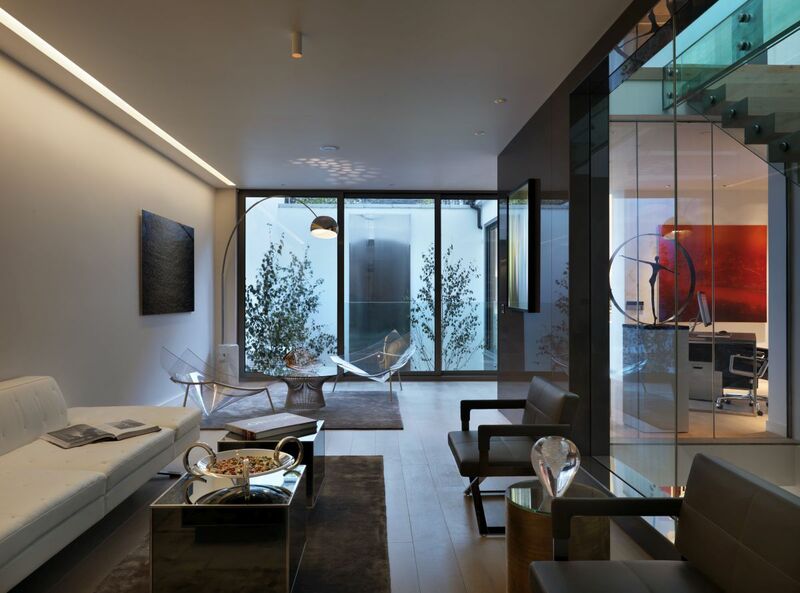 Large bespoke glass walls on each of the three levels, and huge windows that completely open to the courtyard give the house an amazing sense of space and light. As part of the interior architecture plan we gutted the top floor of the house to create one huge master bedroom with a large dressing room and ensuite bathroom area. We also designed a bar area in the dressing room. 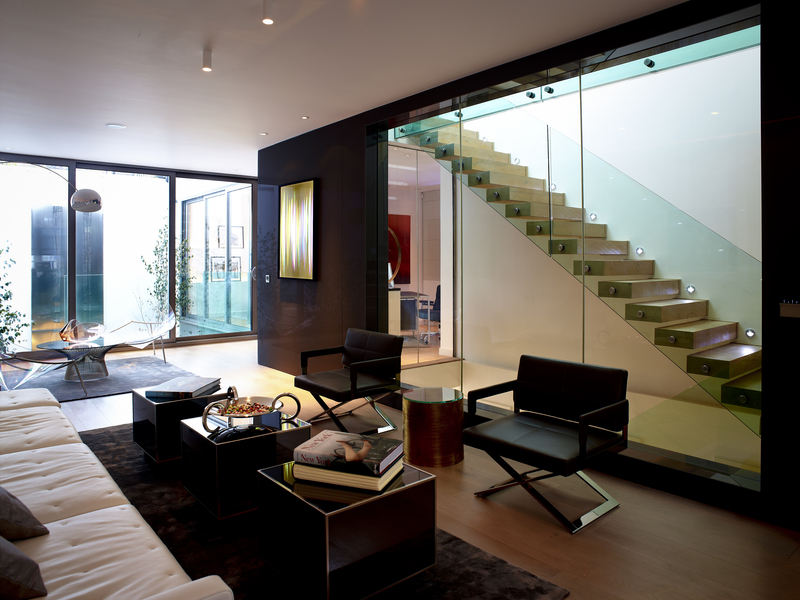 Coloured glass walls and a contemporary stair shaft that spans the entire house give this place a real “James Bond” sense of wonder and really is a show stopper. The living room also turned out very luxurious and masculine. Our client wanted a place where they could entertain and party. 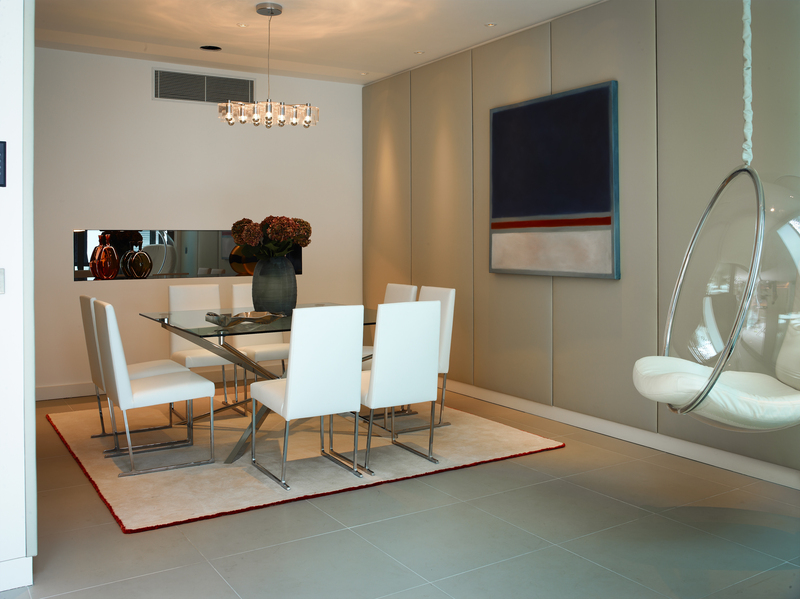 We helped them to collect some impressive art as well as styling the complete house to give wow factor and impress. A truly exciting and party ready pad! 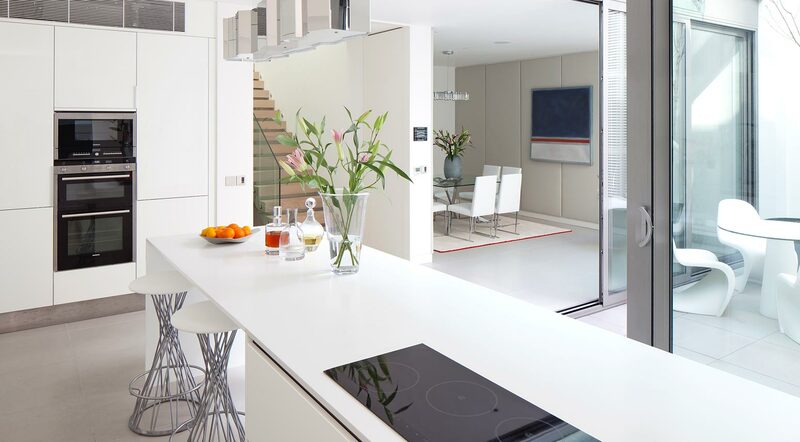 We took this tired and rather dishevelled mews house and transformed it into a glamorous and funky space for clients who really wanted to have lots of light, mod cons and a place to party! The brief was to give them “James Bond meets Miami in Marylebone!” See what they have to say about what we did for them….